The study of Medical Microbiology at the University of Leeds requires expertise in a range of areas, such as immunology, genetics, biochemistry and cell biology, which we'll train you in throughout your undergraduate degree. You’ll be introduced to topics affecting health on a global scale, such as how pathogens like Ebola virus and bird flu emerge, how bacterial develop resistance to antibiotics and how infectious agents hide from the immune response. There’s a focus on practical and analytical training in microbiological and molecular techniques, including the chance to carry out an extended medical microbiology-themed research project in your final year. These experiences will equip you for a wide range of future careers in scientific and health research, and beyond. Microbiology is the study of living organisms that are too small to be visible with the naked eye, including bacteria, fungi and viruses. Medical Microbiology focuses on the ways in which these microbes affect our health, and the importance of microbiology in medicine. An opportunity to study disciplines complementary to Medical Microbiology such as Biochemistry and Genetics. A wide range of research-led optional modules including Cell Biology of Disease, Introduction to Pharmacology, Chemotherapy, The Power of Genomics. Extensive training opportunities in medical microbiological and molecular techniques – essential for careers in scientific research. 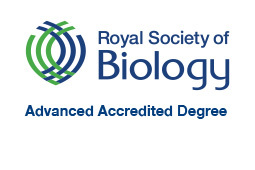 Our BSc with Industrial Placement Year course has been accredited by the Royal Society of Biology. Advanced degree accreditation by the Society recognises academic excellence in the biosciences, and highlights degrees that educate the research and development leaders of the future. The advanced accreditation criteria require evidence that graduates from the programme meet defined sets of learning outcomes, including gaining a substantial period of research experience. Both our Microbiology and Medical Microbiology courses offer the same content for Year 1, with key modules introducing you to the essentials. Through lectures, tutorials and hands-on practicals in the labs, you’ll be introduced to topics such as immunology, genetics, biochemistry and cell biology – laying the foundations that you’ll build upon in years two and three. At the end of Year 1, there are opportunities to transfer between the Microbiology, Biological Sciences and Biology courses (including Genetics). In Year 2 you’ll continue to develop an all-round understanding of the essential topics in biosciences, such as biochemistry, while also beginning to specialise in topics such as medical virology and medical immunology. The end of the second year also offers you the chance to take a study year abroad or a year in industry to further develop your skills. During Year 3 you’ll focus on the laboratory diagnosis of infectious diseases, the problems of antibiotic resistance, and specialist study of fungal and viral infections. 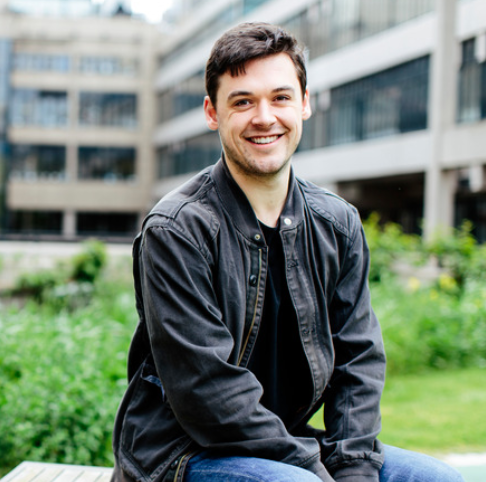 The focal point of your final year will be an in-depth research project in which you’ll take all the skills you have developed in your degree and apply them to your own independent research, while under the supervision of a leading academic. You’ll also be offered the chance to study advanced topics in medical microbiology, developing cutting-edge knowledge and laboratory techniques as well as essential transferable skills that will help you really shine in the graduate job market. Including Biology or Chemistry and another science or science-related subject. Critical Thinking and General Studies excluded. Applicants with BTEC Diploma or Extended Diploma qualifications are required to have A2 level Biology or Chemistry. Applicants with BTEC Subsidiary Diploma qualifications must normally have at least 2 A2 levels and at least one of these should be biology or chemistry. The preferred BTEC qualification subject is Applied Science. Offers would be grade A in the A2 level science subject and Distinctions in the BTEC qualification. An offer will be made dependent on the BTEC subject and module choices. D3/D3/D3-D3/M1/M1 including D3 in Biology or Chemistry plus one other science or science-related subject. 35-33 (with 18-17 at higher level) including 6 in higher level Biology or Chemistry and another science or science-related subject at higher level. H2,H2,H2,H2,H2,H2 - H2,H2,H2,H3,H3,H3 including H2 in Chemistry or Biology and another science at higher level. Advanced Higher: 5 x Highers AABBB-ABBBB, with AA-AB in 2 Advanced Highers including Biology or Chemistry and another science or science-related subject. General Studies and Critical Thinking excluded. AAA-ABB including Biology or Chemistry and another science or science-related subject. General Studies, Critical Thinking and Advanced Skills excluded. Given the huge importance of microorganisms to all aspects of our lives, microbiologists will always be in demand. Microbiology is an exciting, challenging and rewarding subject; it has a key role to play in the health and development of mankind. Typical graduate destinations include employment in laboratories in academia, healthcare and industry, as well as careers in law and other professions. Some graduates go on to further study at MSc or PhD level. We offer a host of additional opportunities beyond core course content, including volunteering and placements. These include our annual Bioscience Networking Event, which gives you the chance to meet bioscience employers, speak to alumni, attend workshops and get masses of information. If you choose to undertake a study abroad option, you will spend the third year of the BSc studying abroad. This will extend your studies by 12 months. Industrial placements are typically taken between your second and final year. If you choose to undertake a placement year, this will extend your studies by 12 months. For your work placement in industry, staff at Leeds will help you with your CV and application letters and provide a list of organisations which may offer industrial placements.